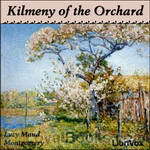 Lucy Maud Montgomery - Download Audiobooks & eBooks for iPhone, Android, Kindle and more! In the sequal to The Story Girl Sara Stanley returns to join the King children in publishing their own local magazine to entertain the town of Carlisle. Stories from 1896 to 1901. 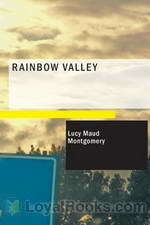 Lucy Maud Montgomery was born at Clifton (now New London), Prince Edward Island, Canada, on November 30, 1874. She achieved international fame in her lifetime, putting Prince Edward Island and Canada on the world literary map. 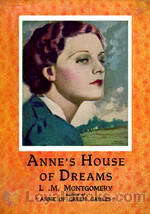 Best known for her "Anne of Green Gables" books, she was also a prolific writer of short stories and poetry. She published some 500 short stories and poems and twenty novels before her death in 1942. Rilla of Ingleside (1921) is the final book in the Anne of Green Gables series by Lucy Maud Montgomery, but was the sixth of the eight "Anne" novels she wrote. This book draws the focus back onto a single character, Anne and Gilbert's youngest daughter Bertha Marilla "Rilla" Blythe. It has a more serious tone, as it takes place during World War I and the three Blythe boys -- Jem, Walter, and Shirley -- along with Rilla's sweetheart Ken Ford, and playmates Jerry Meredith and Carl Meredith -- end up fighting in Europe with the Canadian Expeditionary Force. Montgomery's poem on winter is an analogy for life, symbolizing the three life stages of youth, adulthood and old age. 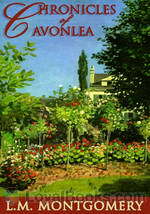 After her famed book "Anne of Green Gables," Lucy Maud Montgomery continued her stories in "Chronicles of Avonlea" followed by "Further Chronicles of Avonlea." 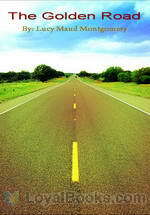 The book includes fifteen short and entertaining, funny, and romantic stories. 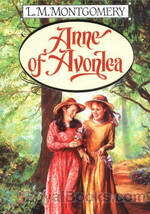 She brings back old characters such as Anne, Rachel Lynde, and Matthew Cuthbert, although most of the stories are focused around new characters living in Avonlea. In the next installment of the Anne series, newlyweds Anne and Gilbert move to the harbor town of Four Winds. There they meet new friends and experience joy as well as heartbreak. While L. M. Montgomery is better known for her novels, such as Anne of Green Gables and Emily of New Moon, she also wrote hundreds of poems. Her love of beauty, nature, and the sea is evident in this, the only volume of her poetry published during her lifetime. Librivox volunteers bring you 11 readings of Harbour Dawn by L. M. Montgomery. This was the fortnightly poem for November 23 - December 7, 2014. Matthew and Marilla make plans to adopt a boy to help with farm chores but because of a mistake, Matthew finds a girl waiting at the train station to come home with him. Anne Shirley is a bold, tempered, imaginative and talkative young girl, yet the reader still manages to fall in love with her blunt personality. Marilla has her doubts, but Matthew convinces her to keep Anne. This book will let you watch characters grow and blossom like butterflies and magical changes take place.